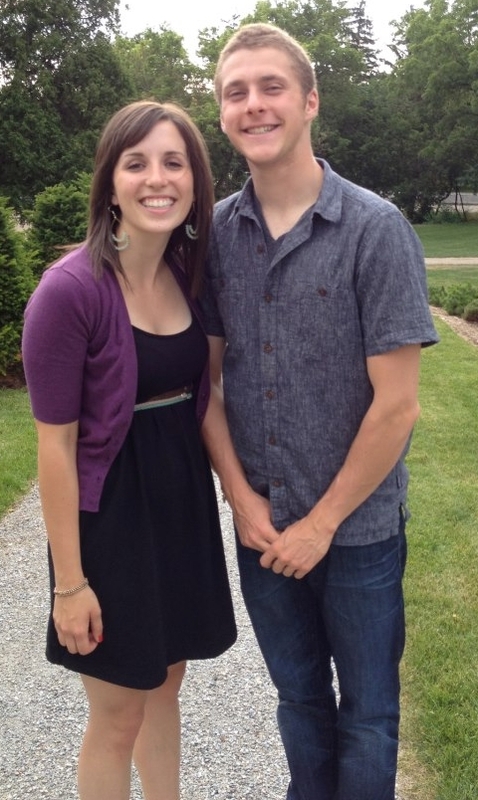 Guest Post #2: Julia from Fit.Fresh.Food. So, as promised, we have another guest-post for you today! 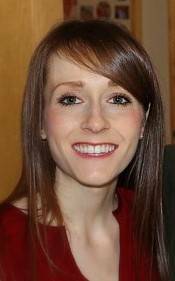 🙂 Meet Julia, who blogs over at Fit.Fresh.Food. We have known Julia literally since the day we were born, and her blog is definitely one you should be visiting on a regular basis, if you aren’t already! So once you’re finished reading this post, head on over to her little spot in the blog world! Life is all about balance. Filling our bodies with fresh & wholesome foods is an invaluable part of a healthy and active lifestyle. But sometimes, lets face it, we need to indulge. The Saucy Sisters have been sweet enough to have me over to write this guest post, and I couldn’t be more excited! Having known the sisters for a really long time, it’s been great to re-connect through our shared love of food. 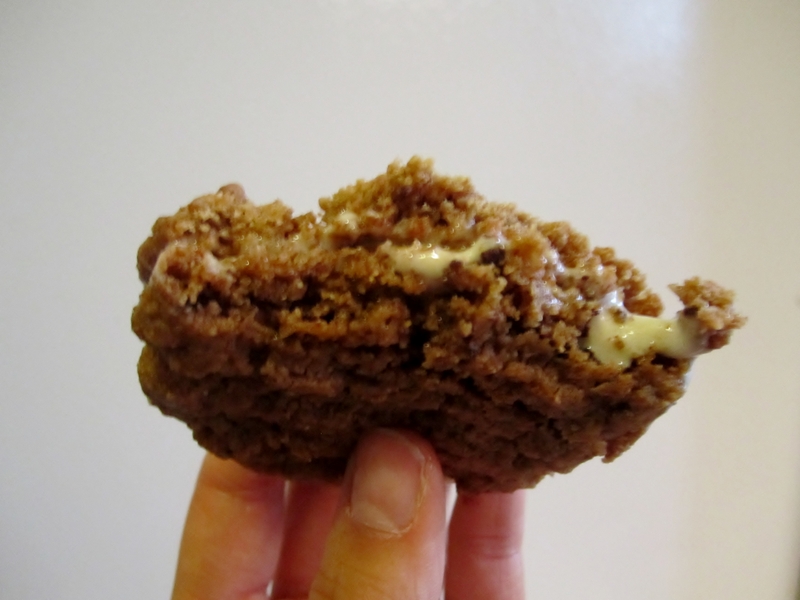 And since I know these girls have a bit of a sweet tooth, I couldn’t help but share with you, my fellow 2SS fans, my Almond Butter Choco Chunk cookie recipe. 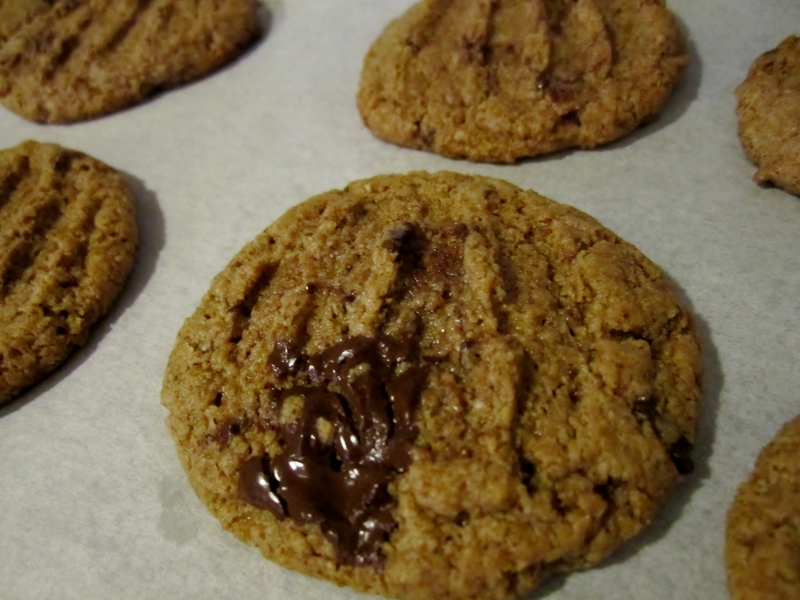 Since discovering almond butter about 5 years ago, I knew I needed a go-to cookie recipe. Grandma’s old peanut butter cookies wouldn’t do anymore! I was growing up, becoming more sophisticated, I had no need for the P.B. of the past. 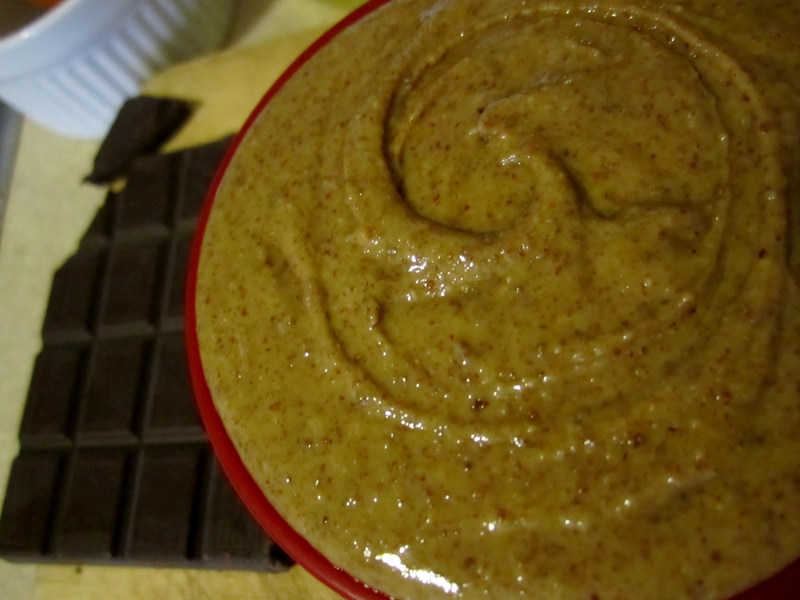 It was almond butter time, and I took to my recipe testing straight away. My cooking notebook now overflows with recipes that have almond butter, but when my sweet tooth strikes I always find myself with these cookies in hand. 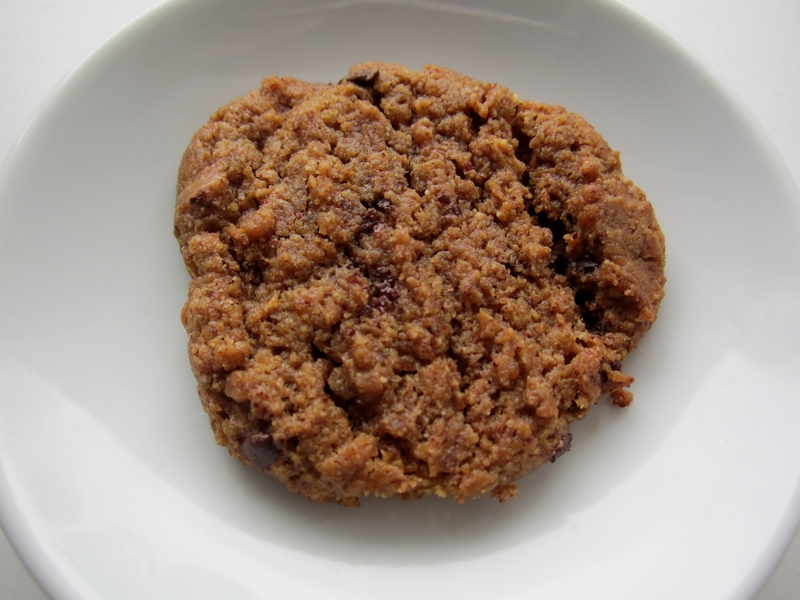 They are chewy, not too sweet, and have that unmistakable comfort quality to them. Do you know what I mean? When you take a bite and everything in the world is suddenly as it should be? Yeah. These are the cookies to make any day great. 1. Only one bowl will get dirty in the process. 2. They take only 10 minutes to bake, which means if your day hits crisis mode you can be consoled via cookie in no time at all. Mix first 5 ingredients until well combined. Drop by rounded teaspoon onto prepared baking sheet. If you don’t have a fancy batter scoop, you’re in the same boat as me. I gently roll the dough in my hand to form a ball (or close to it). Keep the dough 2-3 inches apart on your baking sheet. Remove from oven & press each cookie flat with a fork. Return to oven & bake for another 5-7 minutes (don’t burn the bottoms!). Construct your sandwich, I’m sure you know how! We know you guys and girls will have all loved Julia as much as we do, and we hope that you will go and check out her blog. 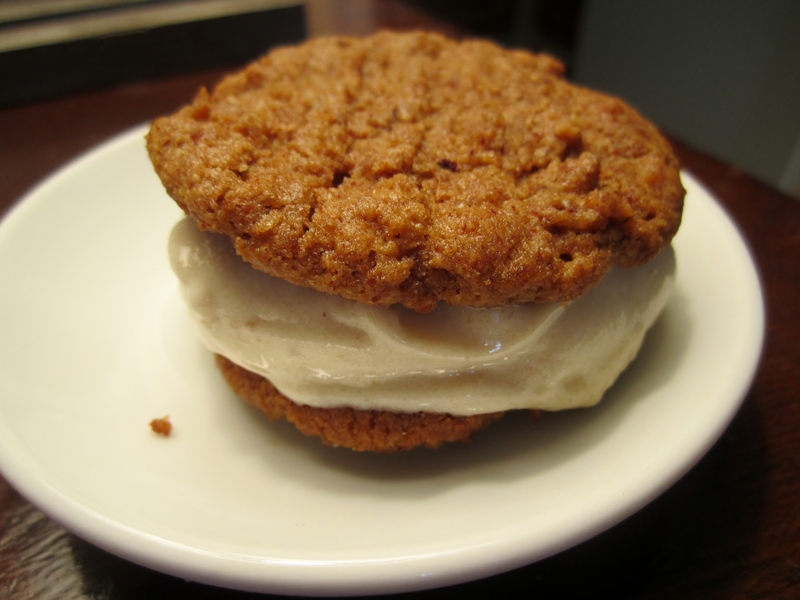 Posted in Uncategorized and tagged almond butter cookie, banana soft serve, dessert, easy, fitfreshfood.wordpress.com, healthy, snack. Bookmark the permalink. We know you’ll love her as much as we do! Hello readers! My name is Michelle and I’m a vegan healthy living food and fitness blogger over at Peachy Palate! I have a whole heap of vegan recipes (over 300) on my recipage and I make daily endeavours to be keep them steadily coming! You can find out more about me, my journey to veganism and my recent decision to quit my job and create a whole new life, embracing my passion for food, healthy living and nutrition by visiting the blog. Julie and Brit kindly asked me to stop by with a little post in their absence while they’re off enjoying cross country training camp so I’ve decided to share one my latest smoothie creations!!! Do you know how long I’ve been looking for one of these glasses!? Pretty much the whole last year! When I get something in my head, be it a yearning for a piece of dish-ware, item of clothing or more often than not a new ingredient, I simply will not rest until I get my hands on it; like a dog with a bone! I had almost given up hope of finding the glass of my dreams (quite literally!). I just envisaged it would look so pretty filled with a a delicious smoothie making it all the more incredible to consume (it has to appeal to more than just my taste buds!). I stumbled upon this by chance in a little knick knack shop last week; it was a little dusty it has to be said but nothing a good wash in boiling water couldn’t solve! Of course I immediately had to whip myself up a fancy pants smoothie to pour in and decided to go with a layered extravaganza! 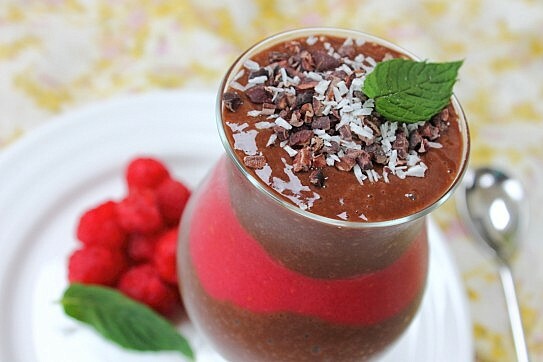 In one jug a raspberry and almond butter smoothie…in the other a chocolate and banana smoothie… layered up with cacao nibs on top and a sprinkling of coconut…a couple of fresh beautiful raspberries on top and it was complete. I’m easily excited, at least when it comes to food, but I was pretty chuffed with the outcome. Two of my favourites combined. A long armed spoon on the side to dig deep and give a bit of a mix up. It was delicious, and of course nutritious! 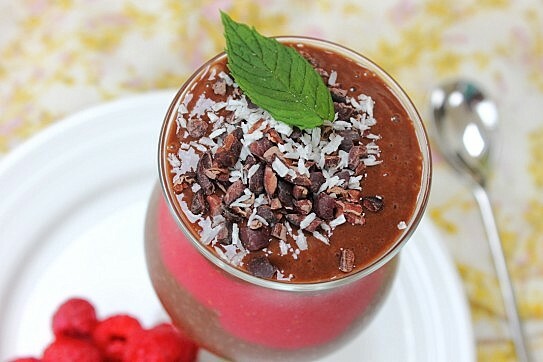 I went with the raspberry and chocolate combo (there were many other layers in the running) after I had a comment on my raspberry and chocolate overnight oats parfait. When I went to post my reply I was reminded of the luscious dreaminess of the combination (the joys of photographing your eats!) and was instantly inspired by my own creation to whip up a smoothie variation; alliteration totally unintended! 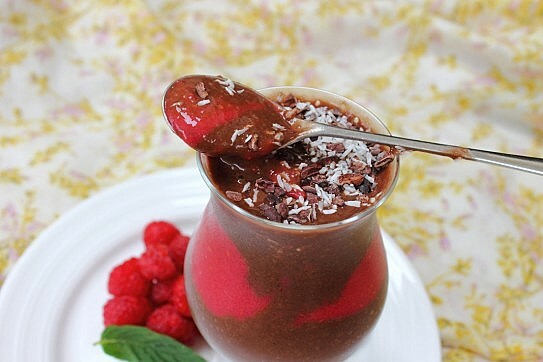 Blend together all raspberry smoothie ingredients in one bowl or jug! 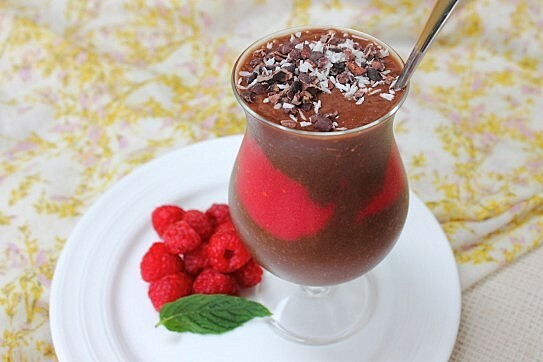 Layer up the smoothie in glass, half of the chocolate, all of the raspberry and the rest of the chocolate. 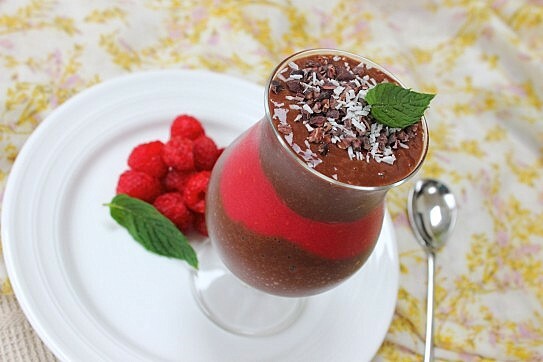 Serve topped with cacao nibs and coconut. We hope all you lovely people enjoyed reading Michelle’s post as much as we did! Don’t forget to stop by again on Thursday to read Julia‘s post from Fit.Fresh.Food! 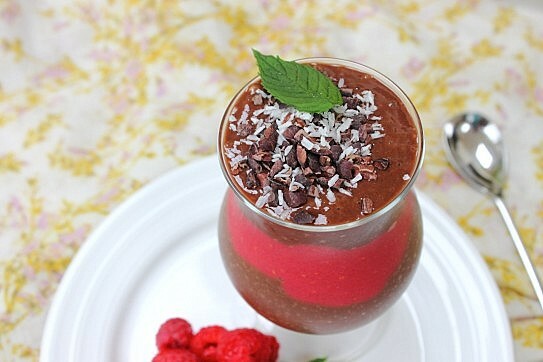 Posted in Uncategorized and tagged breakfast, chocolate, parfait, Peachy Palate, raspberry, smoothie, vegan. Bookmark the permalink. Hello friends! It’s that time of week again – Meatless Monday! This week’s letter is “D” for Dates! Mmm… dates. 🙂 We love them, they are so sweet, and can be used so many ways! Our favourite thing to do is make dates into date paste, which we use in so many of our baked goods, breakfasts, eating it with a spoon… you get the point! 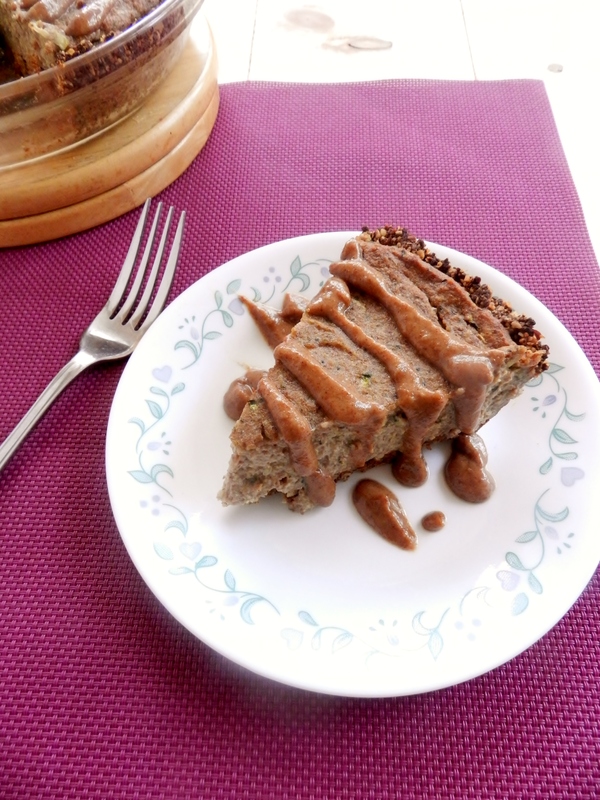 It would have been really easy for us to just do some sort of baked good or breakfast item for this Monday, however baked goods tend to be meatless as it is, so we wanted to put out a recipe that uses dates in a savoury way! 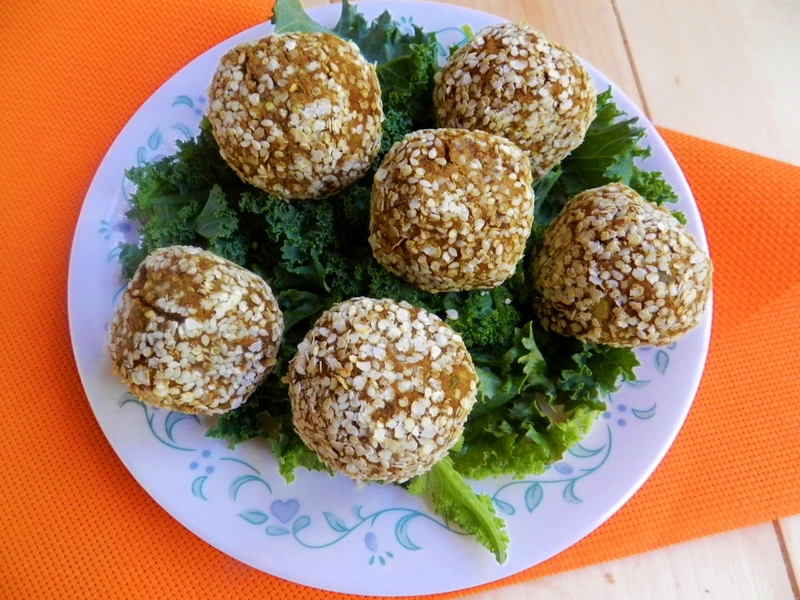 Sweet and Spicy Lentil Balls! 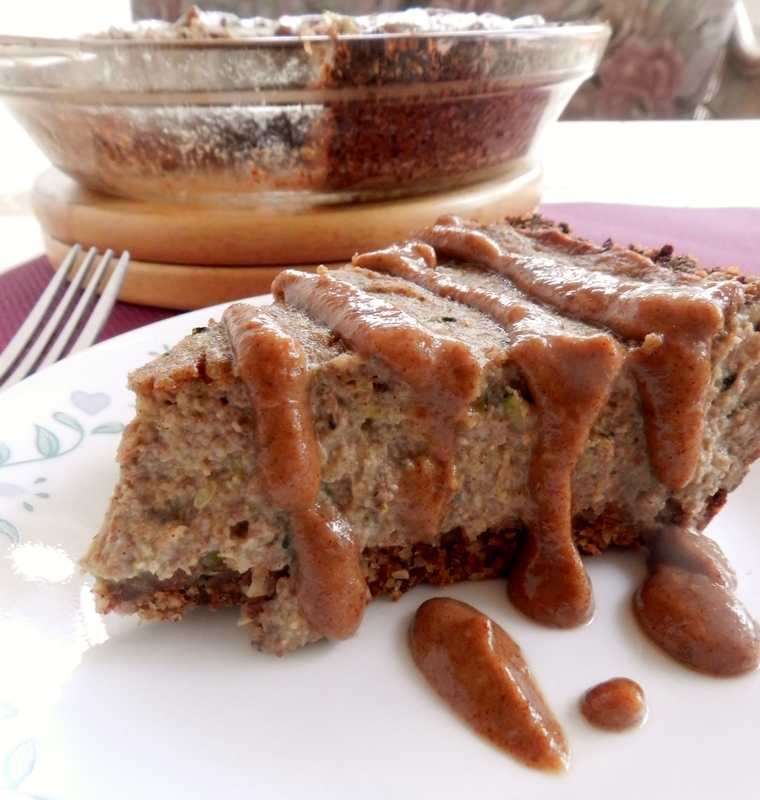 Using dates, red lentils, split peas and spices, and rolled in quinoa flakes and sesame seeds. Baked to perfection! 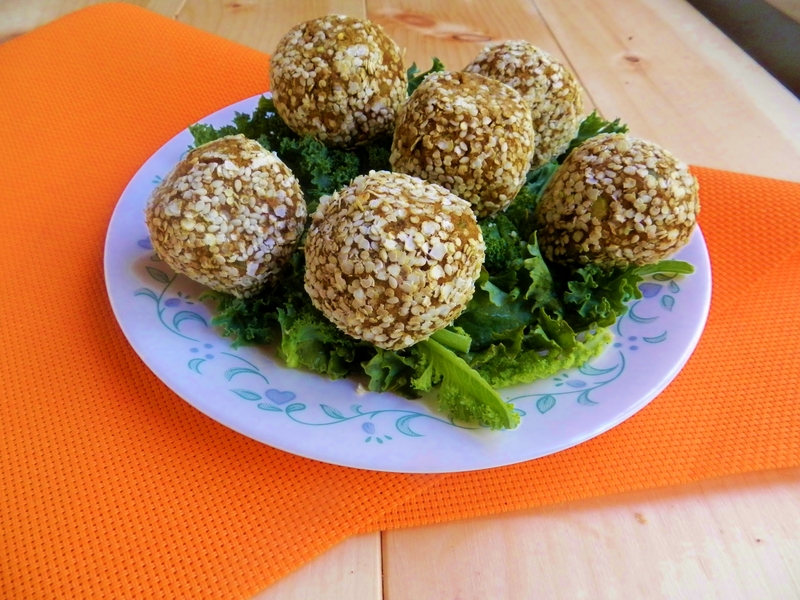 Sort of like a lentil ‘meat’ ball these delicious little bites are great on top of salads, in wraps, or even just to dip in tahini dressing and eat as a snack! Be sure to head on over to Heather and check out the rest of the Meatless Monday participants! Put lentils and split peas into a pot with water. Bring to a boil, then reduce to a simmer for 25min or until soft. In a food processor, pulse the dates until finely chopped. Add the mushrooms, walnuts and spices and pulse until chopped. Add half of the lentil-split pea mixture and blend again until smooth. Remove from processor and stir in the rest of the lentils and split peas. 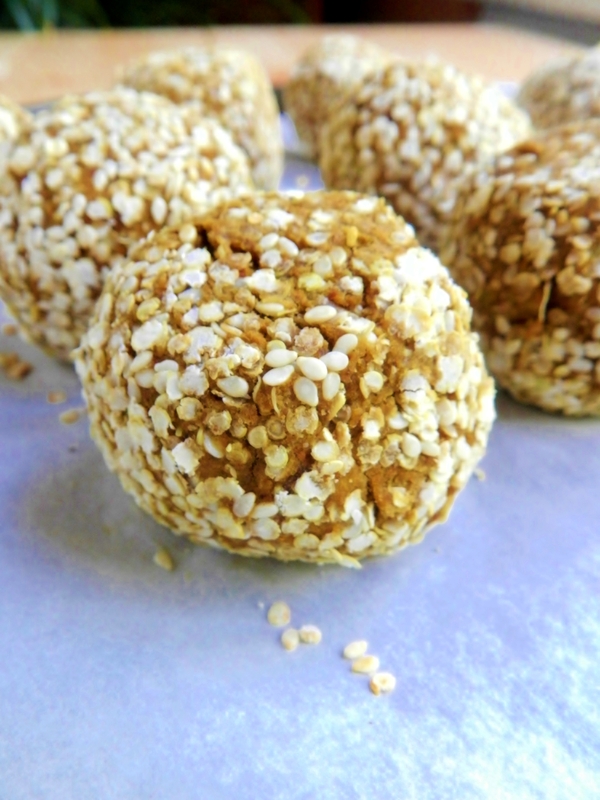 Combine the quinoa flakes and the sesame seeds. 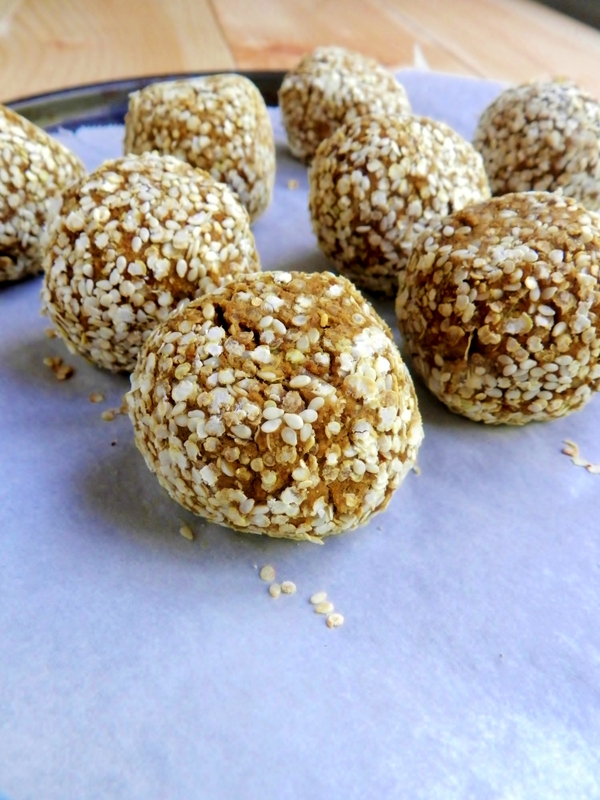 Form the lentil mixture into 9 balls and roll them in the quinoa flakes so that they are evenly coated. Bake at 350 for 25 min. 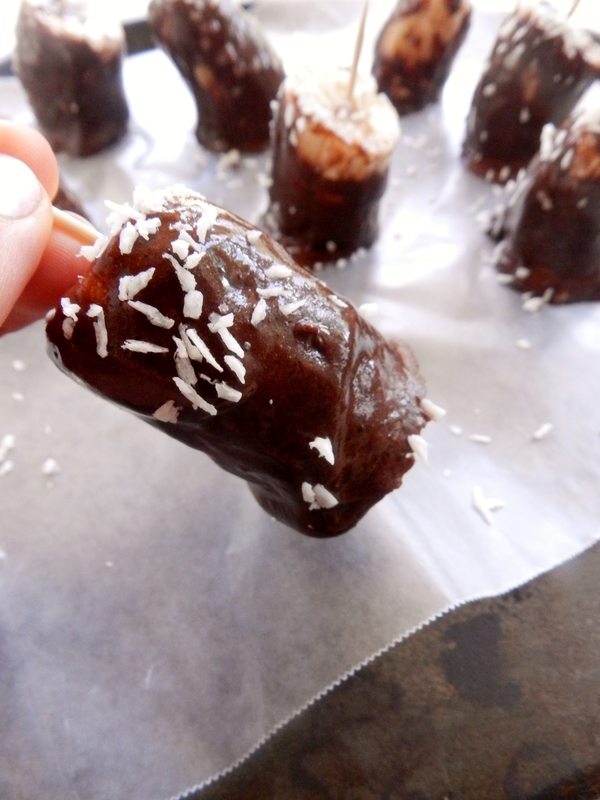 What’s your favourite way to use dates? 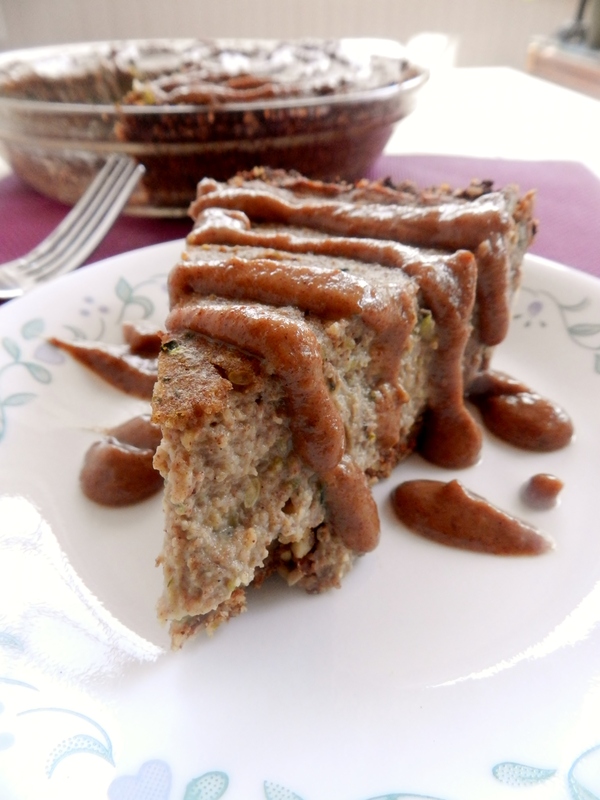 Have you ever had dates in a savoury dish before? 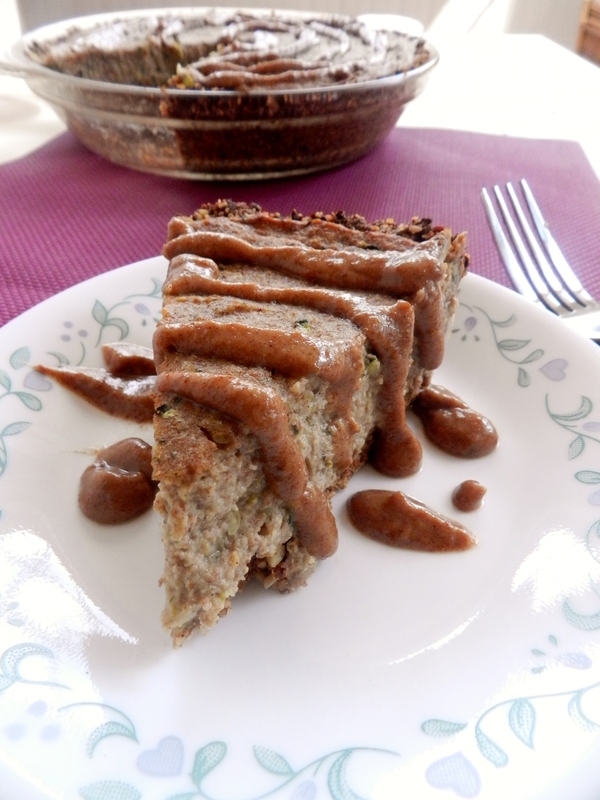 Posted in Uncategorized and tagged berbere, dairy free, dates, egg-free, gluten free, healthy, lentils, Meatless Monday, split peas, sweet and spicy, vegan, vegetarian, wheat-free. Bookmark the permalink. I think now is as good a time as any to tell you all that Julie and I will be somewhat M.I.A this coming week. What is that, you ask? It’s basically an exhausting week of running, swimming, games, and all-around fun for all members of the cross country team! The camp is way up north where the only radio station is Moose Head Radio, gas costs $1.35/L, and the hills are pretty much small mountains. I know i’m not exactly painting a pretty picture of the week for you, but it actually is really fun! And like I said, it’s also very exhausting. Not only do we do “doubles” (ie- we run twice) on several of the days, but pile that together with canoeing, swimming, beach volley ball, ultimate frisbee, and a whole bunch of other camp-type games, you can imagine that by the end of the week we’re all pretty tired! I’m sure you can also appreciate in these circumstances how important it is to be getting proper amounts of fuel and nutrition during the week, to keep our energy levels up so we can participate in a ll the activities. The cooks at camp do a great job at keeping us well-fed at mealtimes (save for one incident last year when they served us extremely salty rocks that apparently were supposed to be muffins), but with all of our running around it’s really important to have snacks in between meals. So this week Julie and I have been in the kitchen whipping up some healthy treats to bring with us to camp. They must be portable- granola bars that crumble apart when you pick them up are not practical. They must not need refrigeration- we’re staying in an A-frame cabin, ie- no mini-fridge! They must be filling- we need snacks that are going to sustain us between meals! 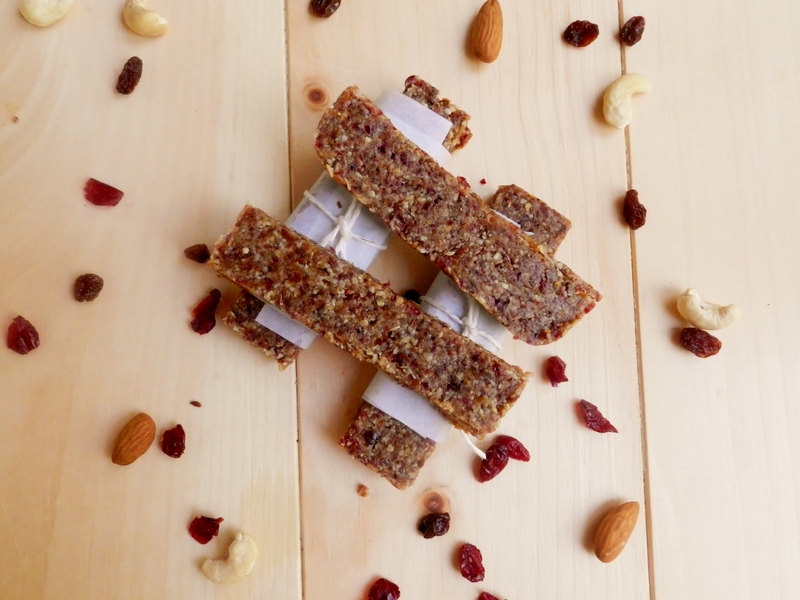 We’ve decided to call them fruit-and-nut energy bars. 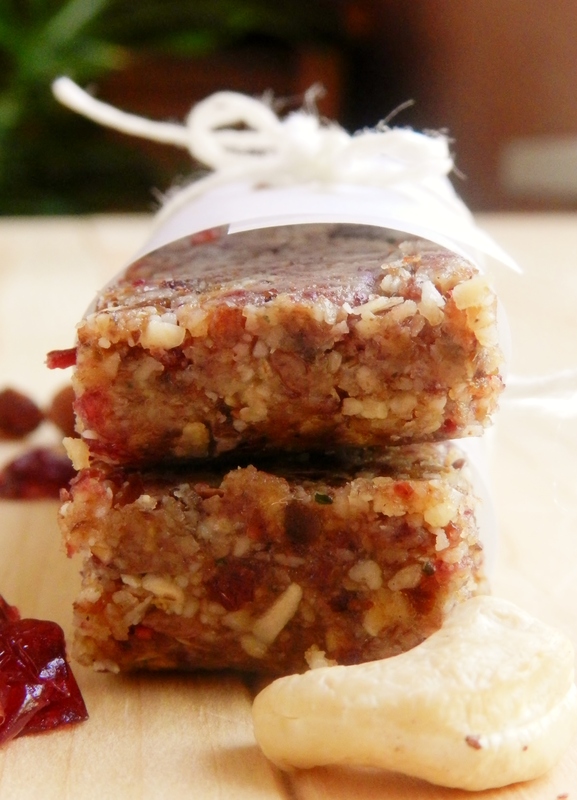 They are sort of like our own version of the oh-so-popular Lara Bars. There was really no method that went into creating these. We had no real flavour in mind that we wanted to achieve, and no real texture preferences, other than the fact that we wanted them to hold together well, so there was not a whole lot of pressure on the things turning out in any particular way. 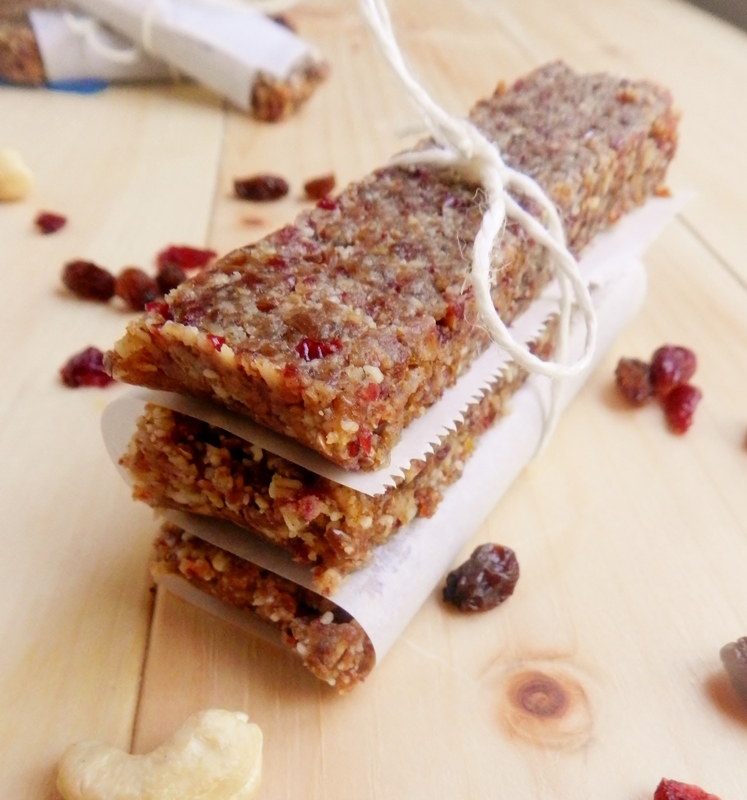 We just basically looked in our pantry, pulled out a bunch of different dried fruits and nuts, threw some stuff in our food processor, et voila, a healthy, portable, tasty energy bar! So now I’m off to the kitchen to help Julie make a few more snacks to take with us to camp, but make sure you keep stopping by next week, because we have a few guest posts lined up from some lovely ladies, and we wouldn’t want you to miss out! Grind oats in the food processor until they are mostly flour, but with a little bit of texture left. Add in the nuts and blend until the nuts are all finely chopped. Add dried fruit, flax seeds, sesame seeds and hemp hearts and blend until the mixture starts to become crumbly, and sticks together when pinched. Add all other ingredients and blend until the mixture begins to stick together on its own. Line a 9×5 inch pan (we used a loaf pan) with wax paper. Pour the mixture into the pan and press firmly into the bottom. 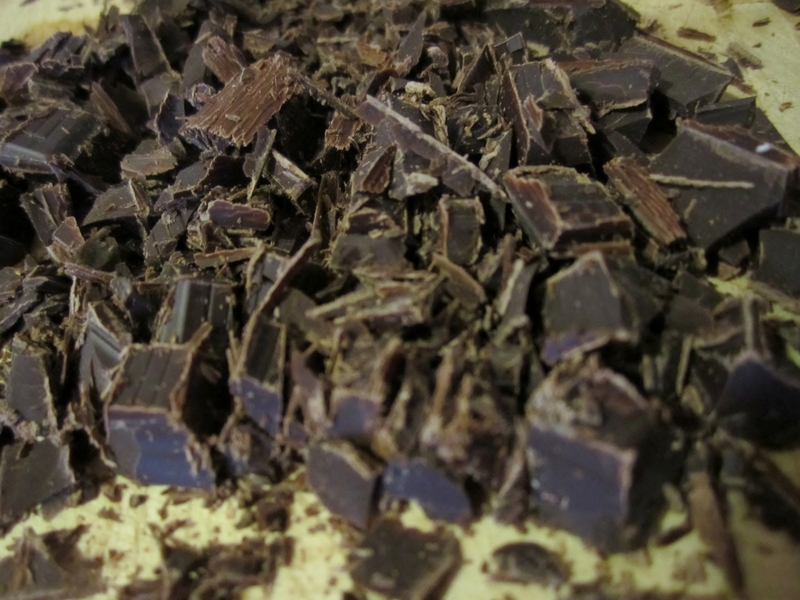 Place in the refrigerator to allow it to firm up a bit, then cut into bars. Do you ever go camping? What kind of snacks do you bring when you know there won’t be refrigerators to keep them in? 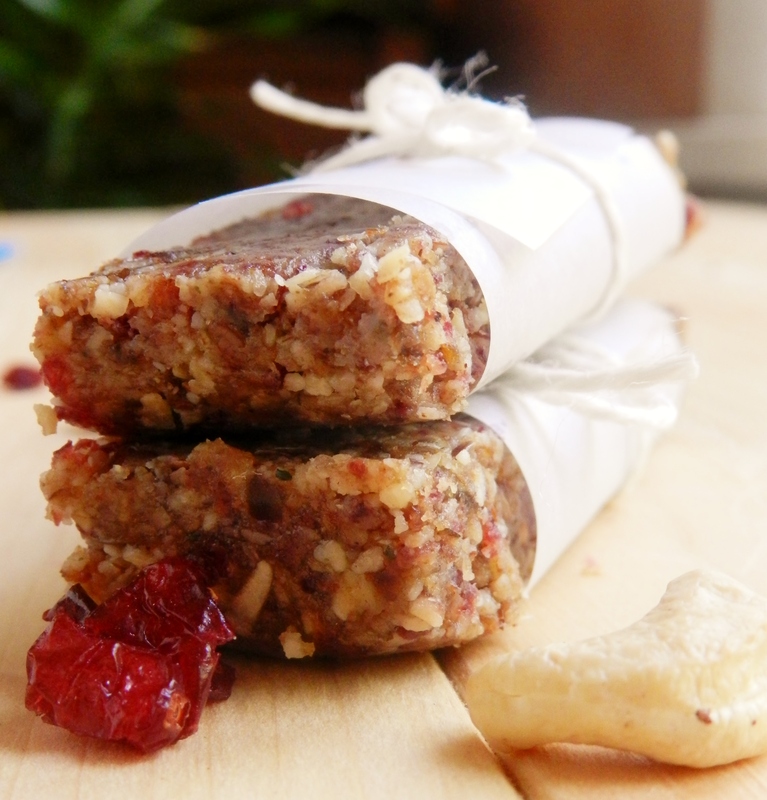 Posted in Uncategorized and tagged camp, easy, fruit, granola bar, healthy, larabar, no-bake, nuts, quick, raw food, snack, travel. Bookmark the permalink. We’re really sorry if you’ve gotten tired of breakfast parfaits, but we’ve got one more to share with you before our summer weather runs out and we start craving warm bowls of oatmeal. Growing up, we basically always had 3 kinds of drinks in the house: orange juice, apple juice, and milk. Occasionally mom would treat us with a little fruit punch or Koolaid, butfor the most part those three were our mainstays. But sometimes, when it was on sale, mom or dad would come home from the grocery store with a carton of orange-strawberry-banana juice. Basically liquid heaven according to our 8-year-old palates! Still to this day part of me gets excited when I see it on the shelf. So of course it was inevitable that Julie and I would recreate this flavour combination in some fashion, and what better place to do it than breakfast! 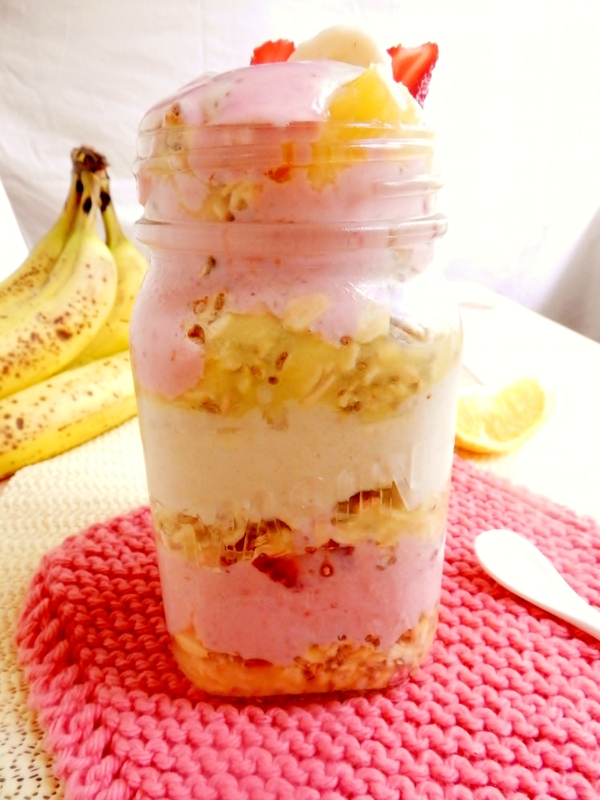 And while the juice is no longer liquid gold to me anymore, this Orange-Strawberry-Banana overnight oats parfait was the perfect upgrade to bring this combo back into my list of all-time favourites! My inner 8-year-old is jumping for joy right now. Combine oats, chia, juice, milk, banana pieces and orange pieces in a bowl, stir, and allow to sit in the fridge overnight. 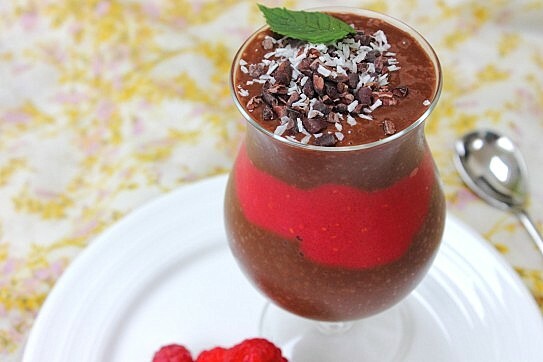 In the morning, blend frozen banana in a food processor until smooth, set aside. Blend the strawberries with the yogurt in a food processor until smooth, set aside. 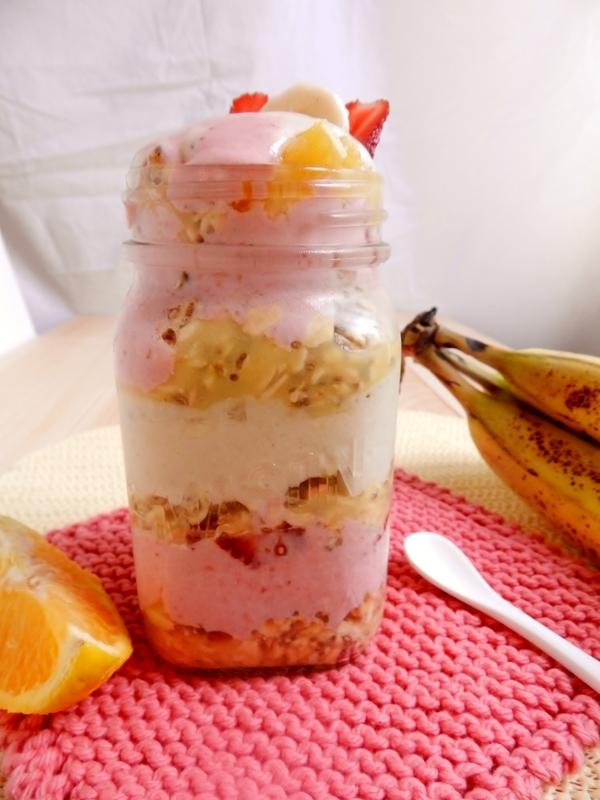 Assemble the parfait by dropping a couple spoonfuls of the oat mixture into the bottom of a jar or glass. 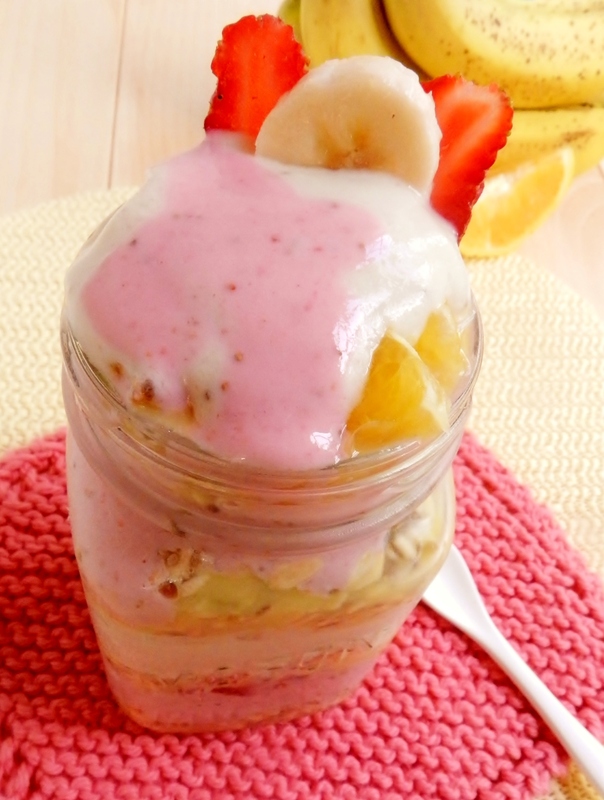 Sprinkle some diced orange and strawberries on top of the oats, then cover with either the strawberry puree or the banana soft serve. 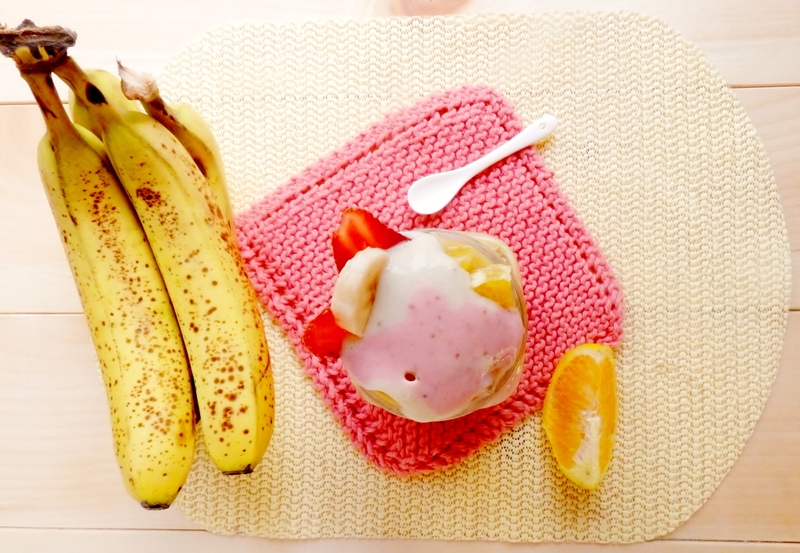 Repeat, using whichever puree (strawberry or banana) you didn’t use the first time, and continue layering, alternating between strawberry and banana until you run out of each layer. Is there a food/combination of foods/flavours that you loved as a child, or still love today? 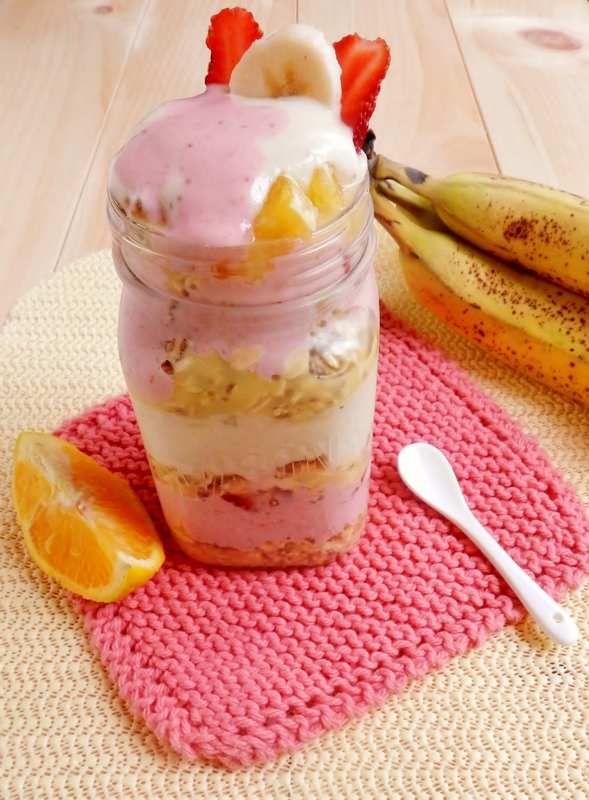 Posted in Uncategorized and tagged banana, banana soft serve, breakfast, healthy, juice, no-bake, oats, orange, parfait, strawberry. Bookmark the permalink. But we sure do love vegan food! We have mad respect for anyone who is vegan, though, because there are some things that we just don’t think we could ever give up. Like honey, cheese, chocolate, and yogurt and cottage cheese- we just love these foods too much! Who knew you could make such delicious cheesecake without using any cheese at all? Vegans did, that’s who. And we are forever grateful to them for figuring that out. Our first ever encounter with vegan cheesecake was at a restaurant in London called Veg Out. The moment we tried it, we were sold. It was so creamy and delicious, you would never have guessed that it wasn’t “real” cheesecake! From that day forward, we made it our goal to one day create our very own vegan cheesecake. Well, today is that day, people! Did we mention that it also has no refined sugar? Oh yeah. This version is a little more light and fluffy than a traditional cheesecake, and has a similar texture to that of pumpkin pie. However, if you want a thicker texture to achieve a more New York style dessert, we suggest increasing the amount of cashews you use, and decreasing the amount of tofu. Either way we know you’ll love it! Drizzled with almond butter glaze, this cheesecake had us licking our plates clean. Delicious cheesecake that’s good for you. We may never eat regular cheesecake ever again. grind oats in a food processor until ground partially into flour, but leaving some texture. Add almonds and walnuts and blend until finely ground. Add dates, spices and vanilla, and blend until you have a crumbly mixture that sticks together when pressed. Pour mixture into a greased 9 inch pie plate and press firmly onto the bottom and up the sides. Set aside. Drain the cashews and place them in the food processor and blend until they are smooth and are forming a ball. Add tofu and blend until smooth. Add all other ingredients, except for 1 cup of the zucchini, and blend until fully combined. Stir in the other cup of zucchini. Pour the filling into the prepared crust and smooth out the top. Bake at 350C for 45-50 minutes, or until the filling feels firm, and a tooth pick inserted in the centre comes out clean. Allow to cool completely before cutting. 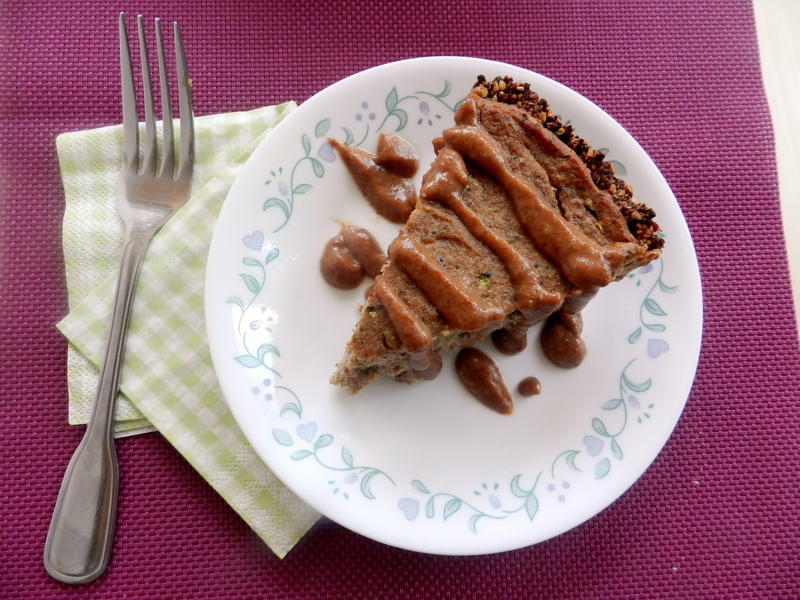 In a small dish, combine date paste and almond butter. 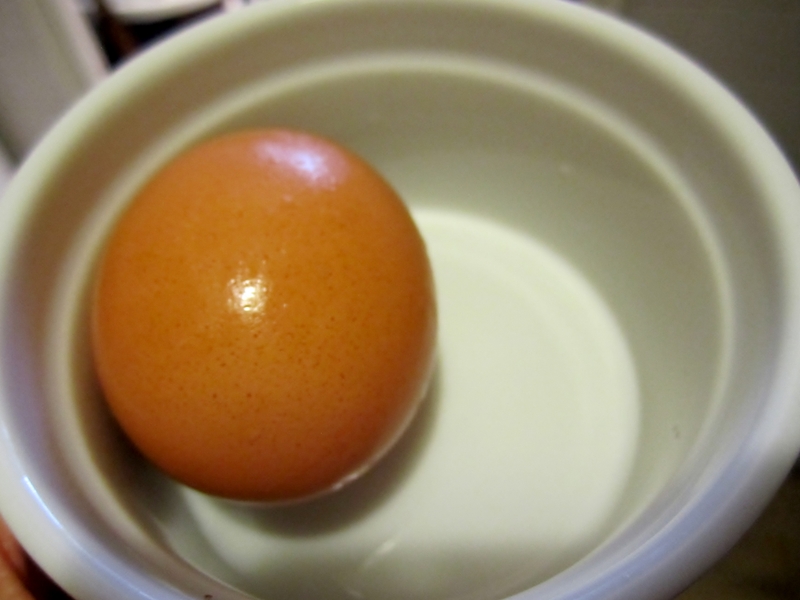 Gradually add water, stirring to combine, until the mixture is runny but still somewhat thick. Drizzle over top of the cheesecake once it has cooled. *You can use other thickeners such as arrowroot flour/starch, corn starch, etc. If you choose to use more cashews than tofu, you may not need this at all! 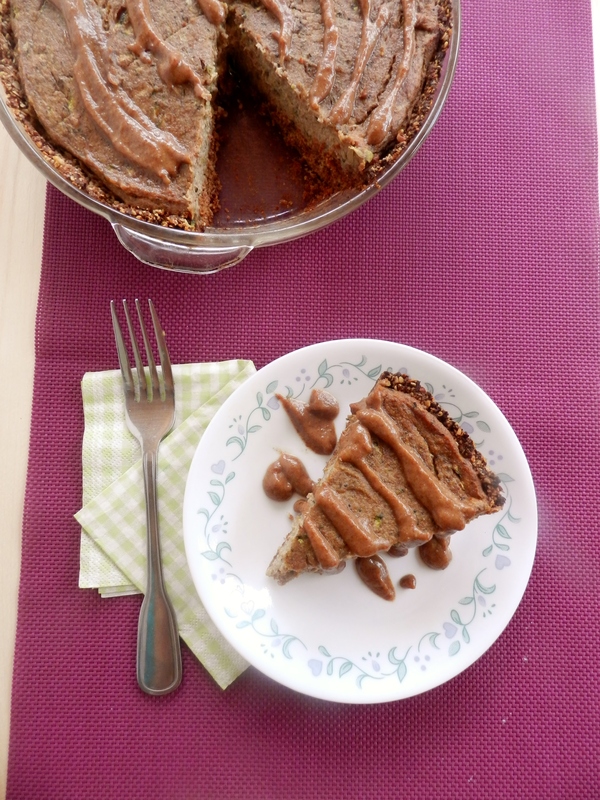 Have you ever tried vegan cheesecake? 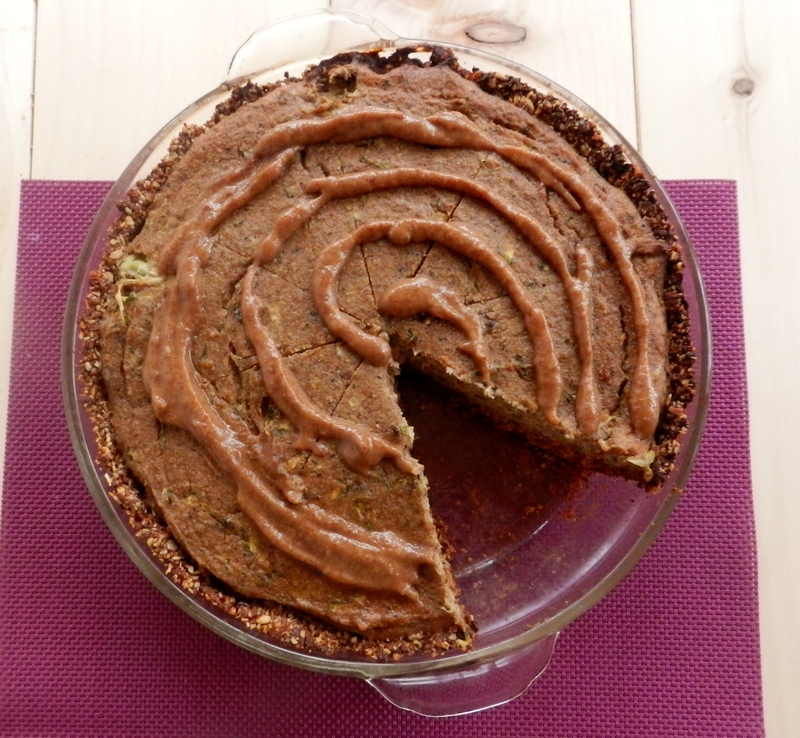 Posted in Uncategorized and tagged cashews, cheesecake, dessert, healthy, low sugar, no sugar added, pie, tofu, vegan, zucchini, zucchini bread. Bookmark the permalink. Here we are again, another rendition of What I Ate Wednesday- Summer Staples! We think that everyone will agree with us in saying that summer is the season for frozen treats. Ice cream, Popsicles, ice cream sandwiches, the list goes on! What better way to beat the heat than with a cold, delicious treat? 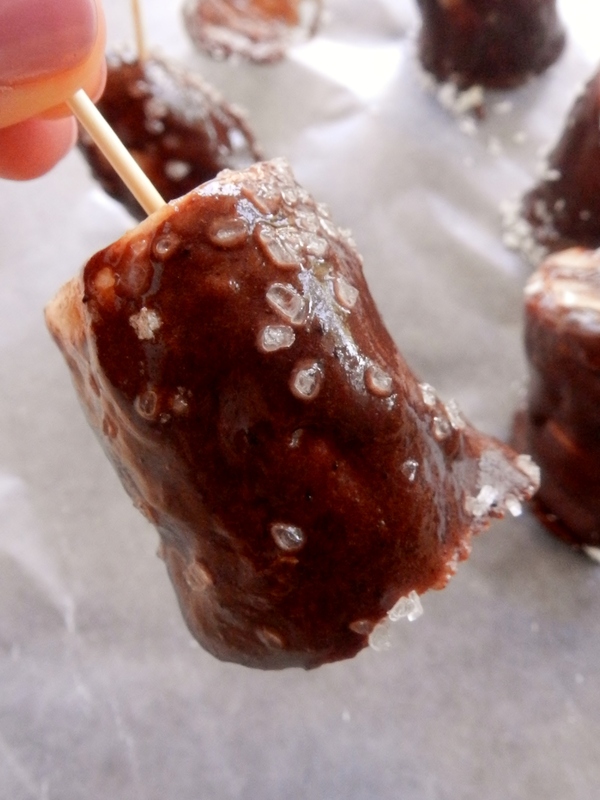 And while these frozen goodies are often super-yummy, they’re also not always the healthiest snack. Of course, they’re fine once in a while, but when we’re in the middle of a month-long heat wave, you’ve gotta have something to cool you off on a daily basis! You also want something quick and easy because nobody wants to spend a beautiful summer day inside the kitchen! 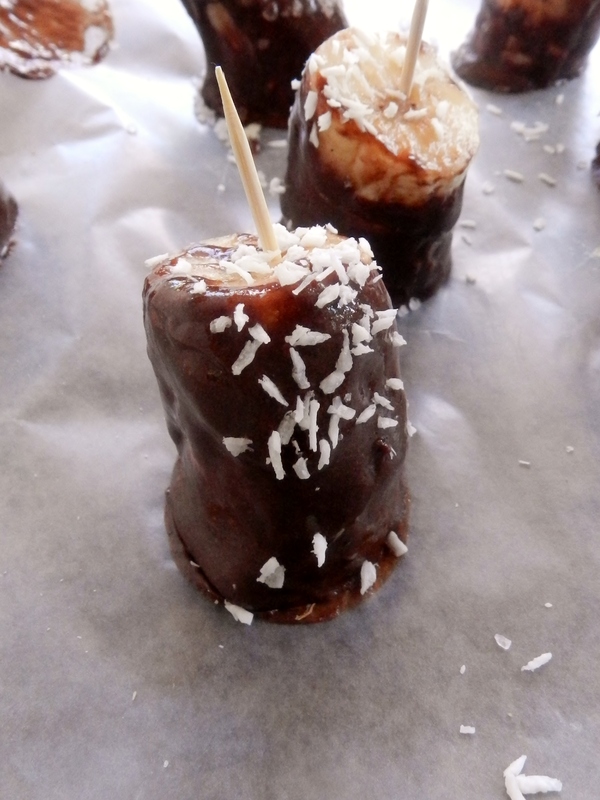 These little bites of heaven were the perfect summer treat! We had a friend over yesterday, and these were just the thing we needed to accompany a lazy afternoon by the pool! 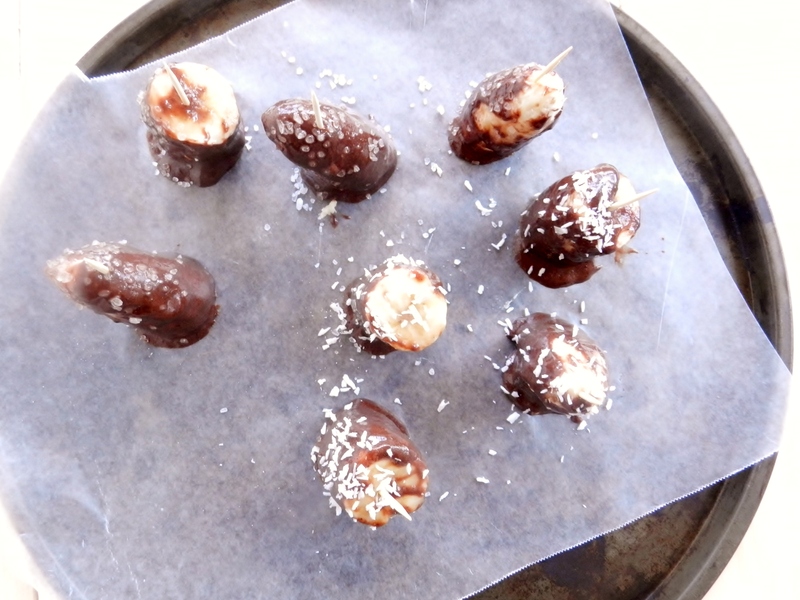 A dose of protein in the form of a chocolatey shell, enclosing a sweet, creamy banana centre. And of course don’t forget to head on over to visit Jenn at Peas and Crayons to check out the other What I Ate Wednesday participants! Chop your banana into 4 equal-sized pieces. 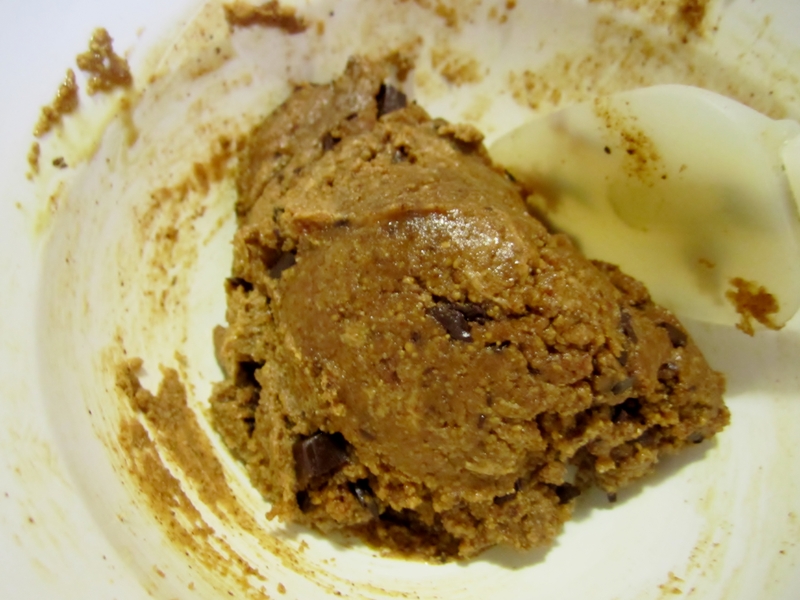 In a small bowl, mix the protein powder and cocoa powder together. Add maple syrup and milk and stir until you have a thick, pudding-like consistency. 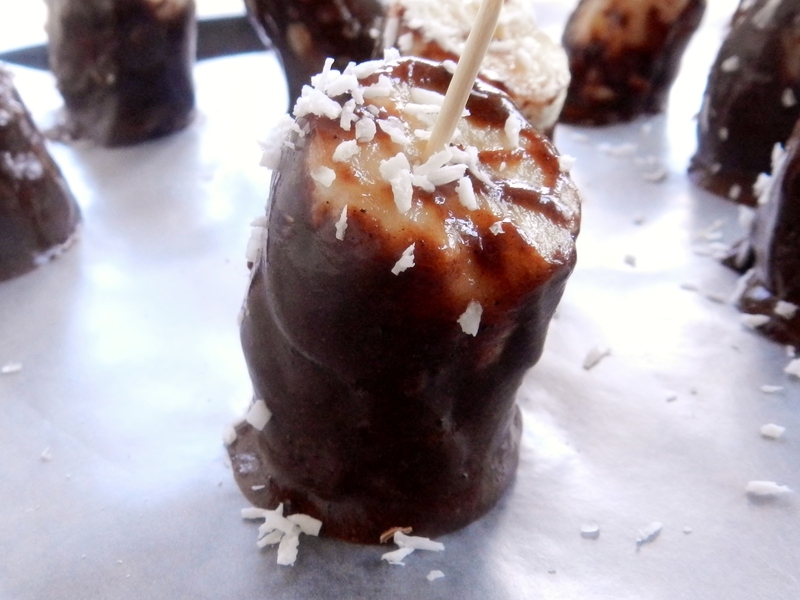 Roll each banana piece in the chocolate mixture until evenly coated- be prepared to get a little messy! 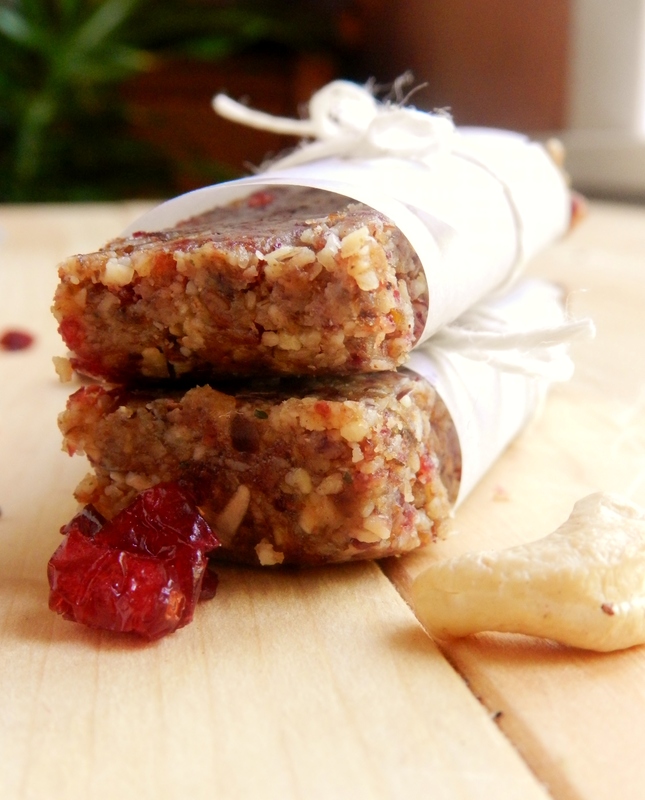 Place each piece on a sheet of wax paper, insert tooth picks into the top, and sprinkle with desired garnish. What is your favourite summer treat? 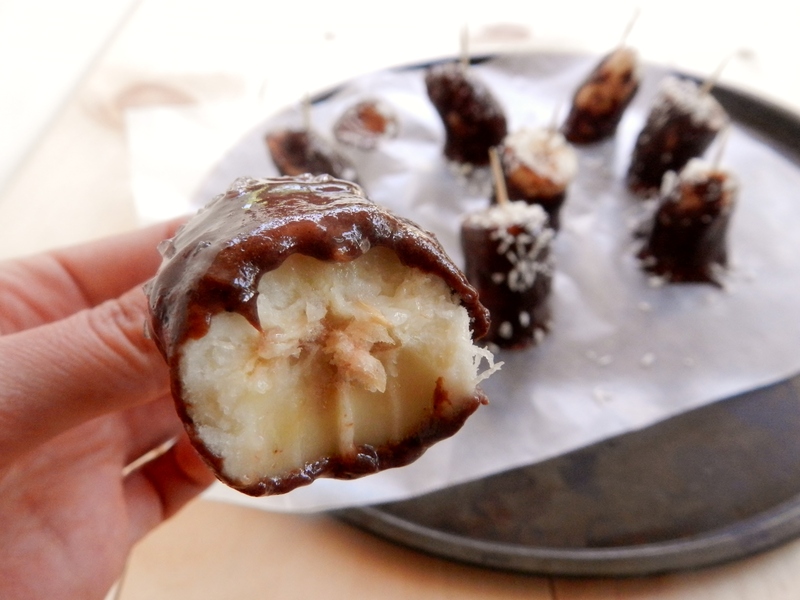 Posted in Uncategorized and tagged banana, chocolate, freezer, healthy, no-bake, popsicle, protein, summer, vegan, vegetarian, WI. Bookmark the permalink.